Welcome to FAIREHARBOUR! 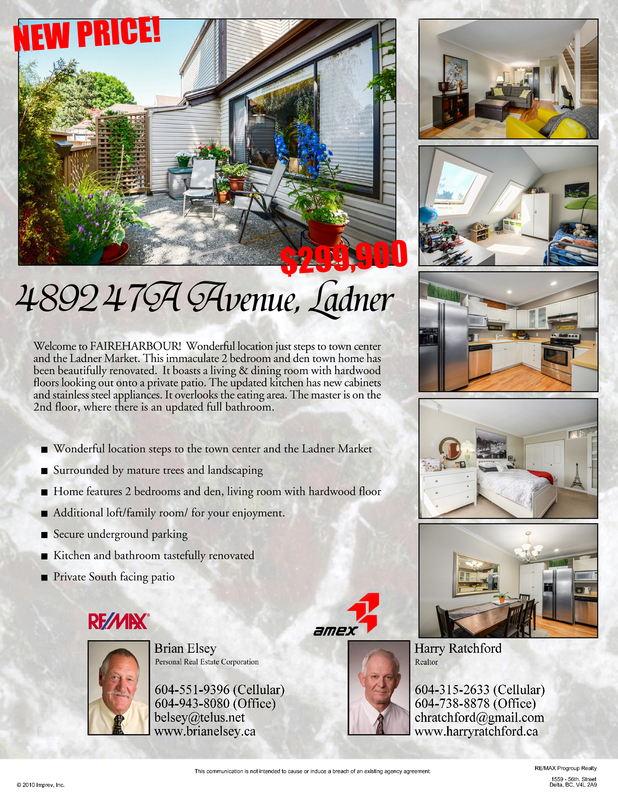 Wonderful location just steps to town center and the Ladner Market. This immaculate 2 bedroom and den townhome has secure underground parking. Beautifully renovated it boasts a living & dining room with hardwood floors overlooking a private patio. The updated kitchen has new cabinets and stainless steel appliances and overlooks the eating area. The master is on the 2nd floor, where there is an updated full bathroom with 2 good size closets and a stacker washer & dryer. The second bedroom is on the top floor next to the large den which has 2 skylights and a vaulted ceiling. Maintenance includes hot water.